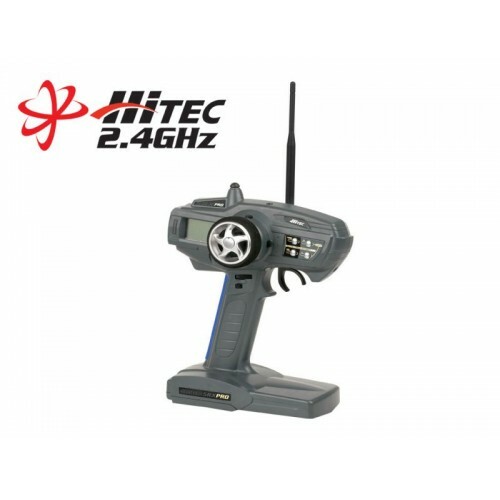 Looking for a feature packed radio for your car or boat? Then take a look at the 2.4GHz SRX Pro. This three-channel pistol grip computer radio system is a great upgrade from the stock radio systems available with most RTR packages. Easy to install, the SRX uses the 2.4GHz DSSS technology for a "rock solid" signal. With ten model memories and four character model naming, the SRX is the only radio you need for your whole fleet of cars, trucks, buggies, and boats. Designed specifically for the landing gear of aircraft. With its low profile design, strong t..